Any questions about the hair bundles or hair extensions from Rococo? Any questions about the hair bundles or hair extensions from Rococo? How many ounces are in each bundle? Yes, however, you will need to pay additional shipping cost separately. Please contact us directly. It takes 4-10 business days to receive your order. Holidays are an exception to normal shipping conditions and could take longer than usual. When will my Hair be shipped? 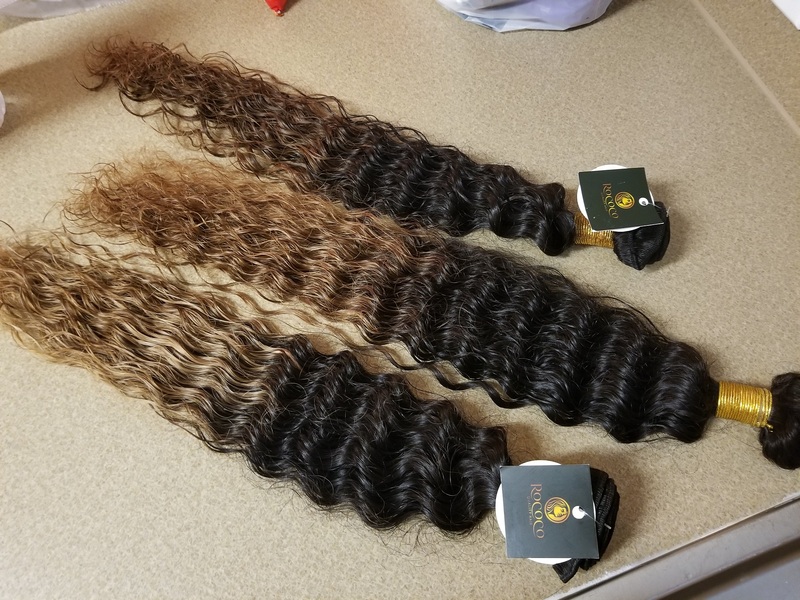 Hair that is ordered by 5pm that business day will begin to be processed within 24-48 hours and then shipped out within 5 business days, or you will be contacted by a Rococo representative. How many bundles do I need to order? Rococo recommends 3 bundles or more to achieve the advertised look and fullness. What type of closures does Rococo sell? We offer lace based, and silk based closures. Our closures allow you to part in multiple directions. Closures are sold separately from bundles.